Jackie Glazier is the latest poker pro to sign with partypoker as a brand ambassador. 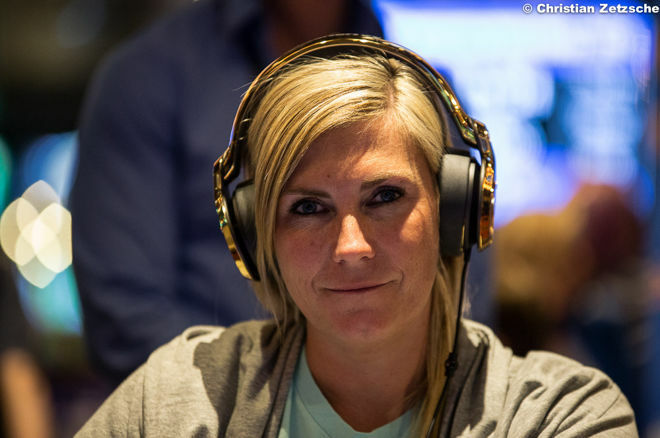 Jackie Glazier is the latest poker player to sign a contract with partypoker as a brand ambassador, upping the online poker site’s stable to seven. Glazier joins Mike Sexton, Tony Dunst, Four-time World Champion Boxer Carl Froch, Patrick Leonard, Natalia Breviglieri and Roberto Romanello as brand ambassador for partypoker, representing the company in both online and live poker events. “I am proud to join the partypoker team of ambassadors and am extremely excited about the opportunities I see for us in Australia and surrounding territories," Glazier said. "I have been closely monitoring the progress partypoker has been making over recent months and look forward to helping them to grow in the Australian market that I know so well. I am confident that together our passion will help us to expand the game of poker in my country. I am looking forward to announcing some games and promotions over the next few weeks that will offer great value to the Australian poker community." Glazier is one of the most popular poker players hailing from Australia and one with more than $1.3 million in live tournament winnings. In 2012, only one year after turning professional at poker, Glazier won the A$1,100 Melbourne Poker Championship for A$95,000. During the same year, she was the runner-up in a $3,000 No-Limit Hold’em event at the World Series of Poker, a result that netted Glazier $458,996, her largest live tournament cash to date. Also in 2013, Glazier came out on top in the €1,100 No-Limit Hold’em Ladies Event at the WSOP Europe in Berlin, winning €21,850 in cash and a coveted gold WSOP bracelet. Glazier enjoyed a deep run in the 2013 WSOP Main Event, eventually falling in 31st place for a $229,281 addition to her bankroll. Prior to signing a two-year contract with partypoker, Glazier represented Ivey Poker and then 888poker, the latter signing Glazier after her deep WSOP Main Event run. Then in June 2016, Glazier became a free agent (in the poker sense) when she and 888poker parted ways. She was the site’s longest serving ambassador. Group Head of partypoker Tom Waters welcomes Glazier to his team. The poker community will first get to see Glazier sporting the partypoker patch in some tournaments in Australia before she jets off to Punta Cana for the partypoker Million and WPT Caribbean at the Caribbean Poker Party, then to Dusk Till Dawn in April and Las Vegas for the 2017 WSOP. You can play against Glazier at the partypoker online tables where she has the alias “JACKSTARPARTY”. Download partypoker via PokerNews, use the bonus code "PNCOM" when making your first deposit and partypoker will match your initial deposit 100% up to a maximum of $500.